We aim to support original and innovative research that will benefit patients who are affected by these conditions. We are keen to encourage research aimed at translating scientific advances into clinical practice in order to have the most positive impact on patients’ lives. 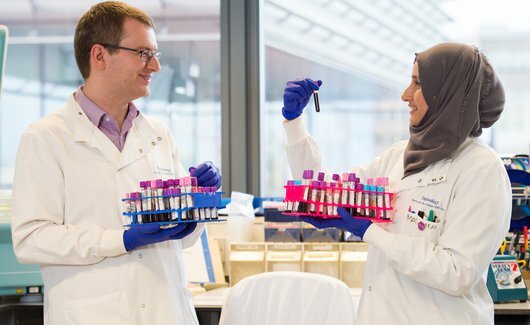 Leuka invites researchers from institutions across the UK to submit applications for any type of research relevant to leukaemia and related disorders. Independent peer review is an integral part of the decision-making process when awarding funding. All grant applications will be assessed by world-class researchers and experts, whose views and opinions inform our decision-making. Grant applications are reviewed by at least three experts from our Independent Scientific Panel and two external reviewers in accordance with our Peer Review Policy. The reviewers will assess applications for their relevance, quality and feasibility in order to make recommendations for funding. Leuka implements a policy on Conflicts of Interest, whereby all panel members and reviewers are asked to declare any conflicts they may have with the application or applicant/s, in order that these are properly managed in line with impartiality standards. Leuka’s Independent Scientific Panel members make their recommendations to Leuka’s Board of Trustees who make the final decisions on which applications will be approved for funding. Our policy on the Use of Animals in Research ensures that we fund proposals involving the use of animals only where there is no alternative and that fully comply with legal requirements and animal welfare guidelines. 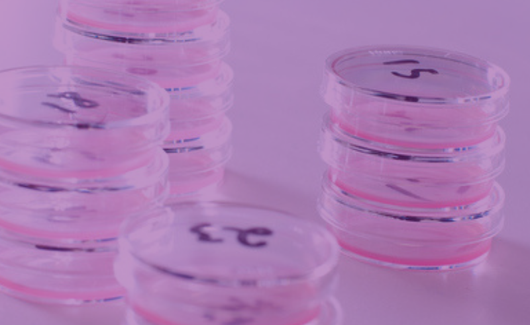 We understand the need to use animals in research and that this approach is sometimes necessary to advance the understanding of diseases, such as leukaemia. Leuka receives no government funding and the grants we make are dependent on the generosity of the general public, corporate and other donors, and the charity’s fundraising events. Leuka is a member of the Association of Medical Research Charities(AMRC), the UK membership organisation of leading medical and health research charities. Membership of the AMRC is an endorsement of the quality of our research funding. Our membership gives reassurance to those who donate funds that all funding requests are subjected to a stringent and transparent review process and only the very best projects are supported by Leuka. Our grants provide scientists that have the most promise and talent with critical financial support - at the time when they need it most. Our Independent Scientific Panel provide expert feedback on and analysis of research proposals.